In anticipation of our upcoming exclusive SummerSpeed day out at Brands Hatch, we interviewed legendary driver, Gary Paffett. A big fan of the iconic British circuit, his advice to those attending our day: “Don’t put too much pressure on yourself, just go out there and enjoy the cars and the circuit.” Read on to find out more. Gary Paffett’s home is not necessarily what you might expect from one of the UK’s foremost racing car drivers. The house itself is impressive enough, but my eyes can’t help but be drawn to his Mercedes E63 Estate – an excellent vehicle, but one that suggests a family man rather than thrill seeker. With three kids, several dogs and a love of golfing and cycling, a large boot is clearly necessary. The day I visit Paffett, he’s about to spend a weekend split between the British Grand Prix and a Mercedes event in Germany. He shrugs as if to say no big deal – which to him it clearly isn’t. We run the interview in his dining room, sat across a huge wooden table. As I set up some recording equipment, conversation turns, unsurprisingly, to cars. His first vehicle was a one litre Peugeot 205, which he affectionately describes as “a bit of an old banger”. Paffett is pretty down to earth about the nature of that first car; “the main thing is that it gets you from A to B” he says. Paffett doesn’t have one defining moment where he made it as a racing driver. Instead, he recalls a number of successes and wins which stand out in his memory. The earliest is in ’97, the last race of the Vauxhall Junior Championship. He started third in the leader board but after a difficult wet race, wound up winning and taking the championship, much to his own surprise. Famously he won the DTM Championship in 2005, but he describes winning the DTM race at Brands Hatch in 2012 as a “really special moment”, due to the unique experience of winning on home turf in front of friends, family, and fans during an international championship. “To win on a circuit that feels like home is an incredible feeling”, he concludes. When I ask him about his favourite tracks he raves about street circuits, although this could be down to his own exceptional performances on them. 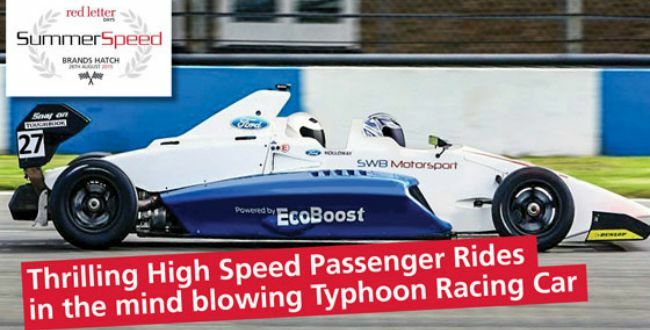 A true thrill seeker, he prefers the freedom of a street circuit, “the challenge of racing between Armco barriers and concrete walls, and not having that safety margin”. He’s not totally biased though. Paffett is the first to admit he’s never had a good race at Circuit de Spa in Belgium, but counts the track among his favourites to race on. As for English circuits, Paffett’s a big fan of Brands Hatch, having raced there first in the ’90s, and then regularly in the DTM over the next 15 years. He describes it as “an incredible circuit, real old school…one of the most demanding courses”, and the infamous Paddock Hill Bend as being “one of the most thrilling corners on any race circuit in the world”. 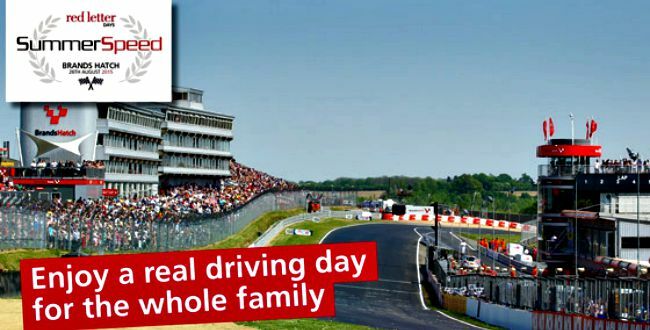 In less than a month’s time, thousands of driving fanatics will descend upon the Brands Hatch circuit for SummerSpeed, a driving experience day organised by Red Letter Days. 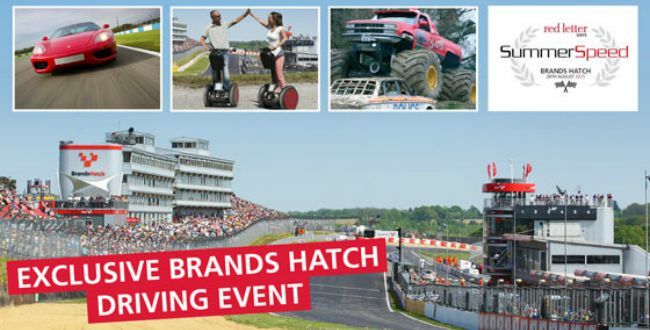 There will be family-friendly monster trucks, Segways and Piaggio Apes, manicures and massages on offer, and most importantly a number of supercar driving experiences, including passenger rides and spins in the McLaren MP4, Ferrari 360, Aston Martin V8 Vantage, Lamborghini Gallardo, Ariel Atom, Porsche 911, Nissan GTR or an Audi R8. 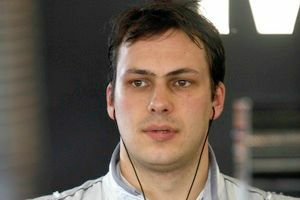 Given Paffett’s connection to McLaren, (beginning when he was awarded Young Driver of the Year in ‘98 and continuing throughout his many years as a test driver) I expect him to steer towards the MP4, but he seems pretty keen on them all. On a more practical note, he adds that it will involve parents spending a bit of money, as driving is a notoriously expensive hobby. But “if you’re a good driver, approachable and a nice guy, you should be able to get support.” It’s advice that’s easy to believe coming from Paffett, who, it must be said, ticks all three boxes. Before I leave, I have to ask one more question: Is it the thrill of the race, or the thrill of winning that matters the most? 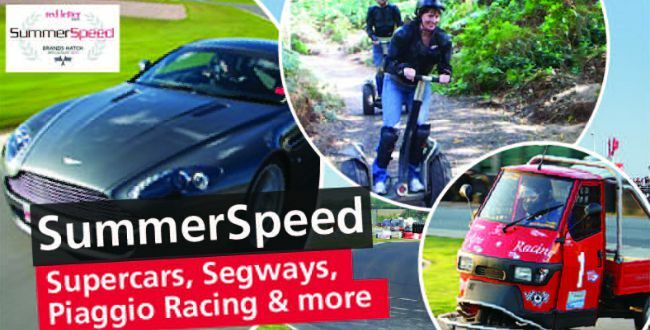 If you’re interested in driving a supercar as part of SummerSpeed, take a look at the driving experiences we have on offer.